British Prime Minister David Cameron faithfully follows the lead of US President, Barack Obama on virtually all foreign policy matters – just as Tony Blair did with then President Bush Jnr., that unfortunately ended in such devastating results. But now, the White House has been rendered all but impotent by a Republican-dominated Congress. However, the current Congress follows the agenda of AIPAC – the American Israel Public Affairs Committee (a pretentious title for a political lobby group). AIPAC, in turn, is controlled and financed by pro-Israel supporters and they take their lead from the Likud policy agenda of Israel’s Prime Minister, Binyamin Netanyahu. 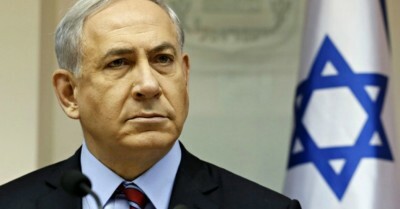 Netanyahu himself is a Political Zionist who seeks a ‘Greater Israel’ over all the land of former Palestine by the ethnic-cleansing of the largest indigenous people of the region, the Muslim Arabs, who have lived and farmed there continuously for 1000 years prior to being confined to the enclaves of the West Bank, East Jerusalem and Gaza, in 1948, by a then unrepresentative United Nations Assembly.